What’s in Vanessa Hudgens’ Makeup Bag? Vanessa Hudgens, who once played Gabriella in the Disney hit that just won’t quit High School Musical, has since gone down the now well-traveled track of Disney stars and become a much more risque character. She told InStyle which products kept her in the hearts of tweens everywhere, and which ones now keep her in the minds of their male counterparts. Vanessa lovesRodial Glam, which adds dewiness from head to toe. The teen queen gives her pout sparkle with By Terry Laque de Rose or Jouer gloss in Starfish. Vanessa lines her lips with Stila Glaze lip liner in Melon. The starlet makes her skin look flawless with Giorgio Armani Luminous Silk Foundation #8 and Clarins Instant Light Perfecting Touch #3. Her favorite eye makeup looks? Shu Uemura’s ME Blue 600 with black liner, or a violet smoky eye with Dior’s 5-Colour Eyeshadow palette in Stylish Move. For glowy cheeks, Vanessa chooses Three Custom Color Specialists blush in Pink Hyacinth. 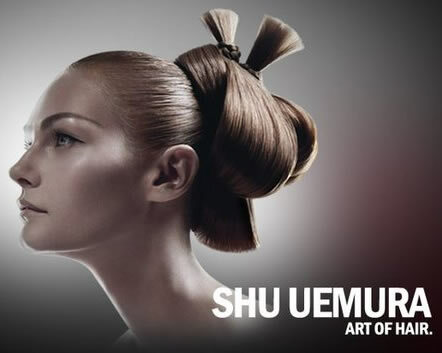 I’m sure by now most of you know of the brand Shu Uemura, but do you know about the man? He was an amazing influence on the world of cosmetics, so I’d like to do a small tribute to his work. Shu Uemura was a Japanese-born Hollywood makeup artist who got his big break on the 1962 film My Geisha. The film’s regular make up artist fell ill and Uemura was called in to fill in. Uemura gained critical acclaim for transforming white actress Shirley MacLaine into a Japanese woman. He parlayed his success into an international makeup brand under his philosophy that “beautiful makeup starts with beautiful skin”. His most famous product is probably the Shu Uemura Eyelash Curler (Amazon, $18). It has been hailed as the best eyelash curler on the market and even merited a mention in the movie The Devil Wears Prada (one of Gisele Bundchen’s few lines in the film). Shu Uemura died of pneumonia at age 79 on December 29, 2007. Uemura was hugely influential in both cosmetics and skincare, and the beauty world is forever changed because of his work.